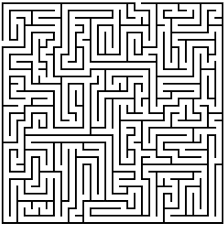 My obsession with mazes began as a child. I remember trying to find my way through them on paper and having a difficult time. I’ve always been directionally challenged. When I discovered a great corn maze was located down the road from our house, my husband, Danny, and I had to go. They should call them, Maize Mazes, don’t you think? The first photo was taken at the entrance. 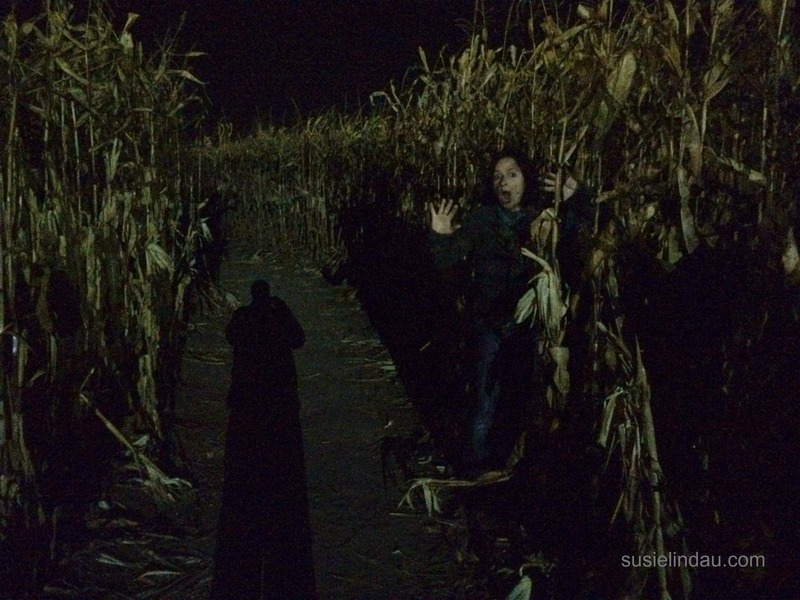 We cut through that corn field to the maze where tall stalks of corn swallowed any ambient light. Without the moon to guide us, it was pitch black. Picking up our feet was a necessity. For as many people who lined up for tickets, we met very few inside this vast corn crop. We wove and wended our way by taking many wrong turns and hitting a lot of dead ends. It was super creepy and very Children of the Corn-like. 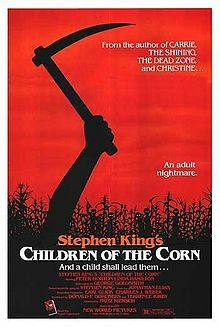 Stephen King wrote the short story on which the movie was based. No surprise there. What was surprising? It was published in Penthouse. Would you be brave enough to walk through a corn maze or haunted house? Seven Ways to Thrill Me! I gobble up stuff like this. While I can’t handle gore, I love spooky and I love haunted. Corn mazes and haunted house tours are the best fun! Exactly! I can’t handle gore either. It’s a fun time of year! Maize maze. Ha! That Stephen King. He is amazing too. One book and short story after another. Happy Halloween. I’m watching “It” right now!!! It is super creepy, but low on gore. YAY!!! Duuuuuuude just as you were describing the scene I totally thought Children of The Corn. Duuuuuuuuuuuuude that movie freaked me out! Totally. With that said I would only walk through corn in the daylight … Otherwise I’ve have Stephen King movie flashbacks. It was really creepy! Just found your comment. 🙂 I did think of Children of the Corn. Everyone seemed to be in the Zombie Maze….. Somehow we survived. Did you get scared? Were people jumping out with chainsaws? Boo! It was a little creepy. I didn’t realize how tall corn gets and I’m from Wisconsin! I guess I never walked through a cornfield before. No chainsaws, but there may have been a few in the Zombie Maze!